Joy in Surrender and Addicting!! So I have been pondering just this thing today…where is my unrated excitement? What I am I holding back for? Where is the joy? Did I get my answer?…NOPE. Still waiting to hear from God. Perhaps He is just patiently waiting for me to erupt like a volcano, I don’t know. Now don’t get me wrong I am happy for the books being available and I am astonished at how quickly God moved, yet I seem to have this reservation about myself. All I know is that I came to this place in my life where every thing is falling into place. Things are just happening which I cannot explain to the normal world..our finances, our favor…..and to me it comes down to three things: First we had to believe that this life could happen, second I came to a place where I just thanked God and third, obedience. I know it sounds simple, but it truly is! Today, I know this may sound weird but hear me out, today I used the restroom at a local restaurant and the toilet paper holder, WITH A LOCK on it, flew open and hit my knee. Didn’t hurt but I took it and pushed it shut so it would not open on someone else. After the incident I thought nothing of it until the paper towel dispenser at church did the SAME thing! Hmmmm, now I was asking God what’s up? Know what He said? I am opening many doors for you, even locked ones. Then He said to me, don’t go shutting the ones I open or get discouraged if you are not quite walking through them just yet. Wow! What a marvelous God we serve! So now I will sing! Now I will shout! Now I will dance! Why? Because my God allowed two of my books to be published in one month!!! Yes He is faithful and good! 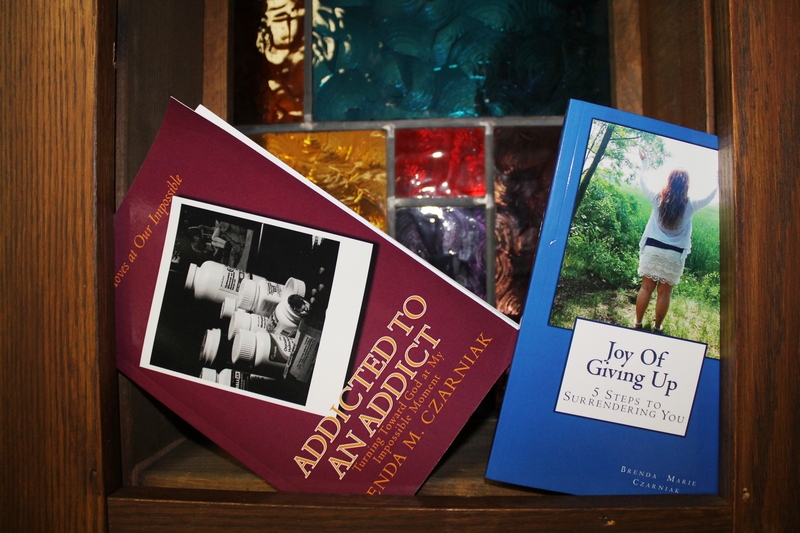 If you would like to order either of my books, they are available on Amazon.com and Kindle.